Today we’d like to introduce you to Victoria and Thomas Collins. Thanks for sharing your story with us Victoria and Thomas. So, let’s start at the beginning and we can move on from there. 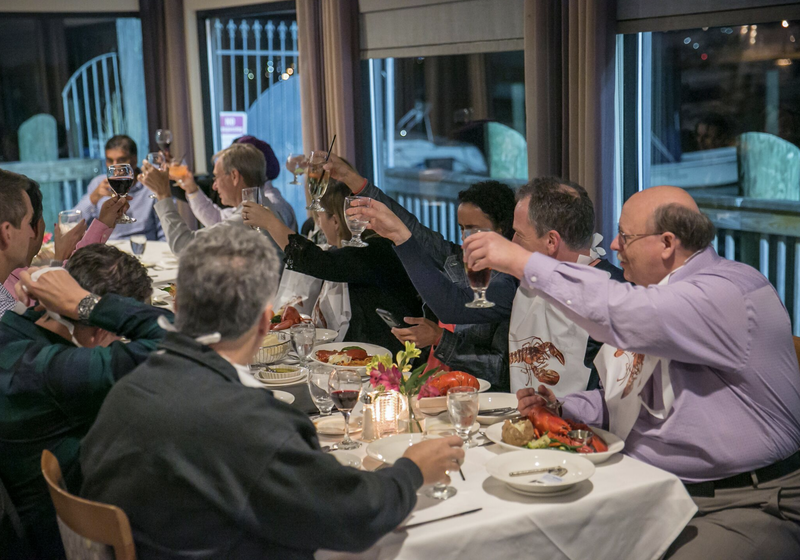 Mobsters and Lobsters began about 6 years when the idea was born. 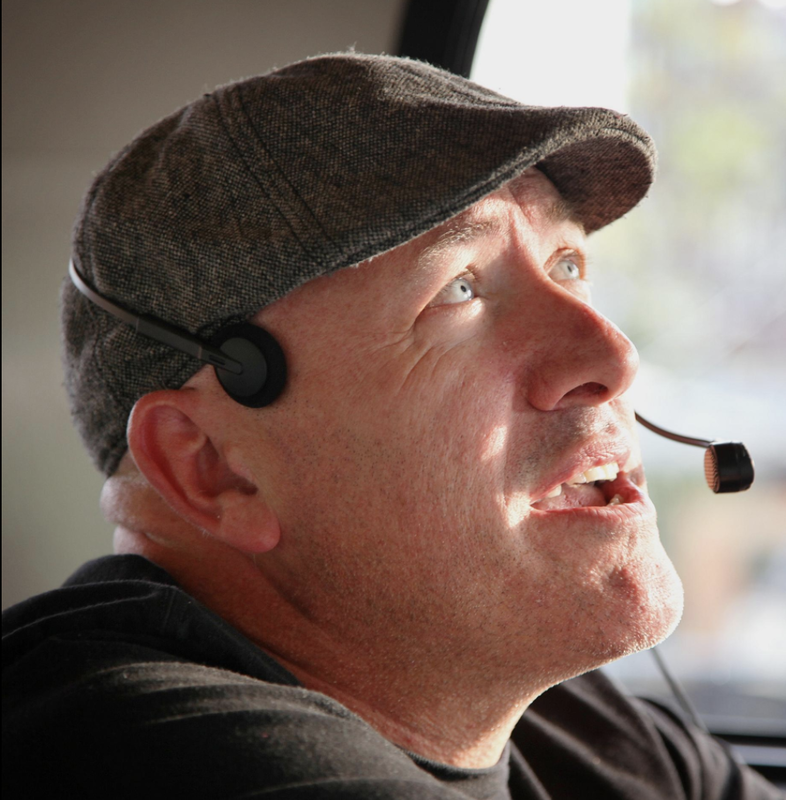 The route was designed, the stories were chosen, and the locations were secured. It was important to find the perfect guide. 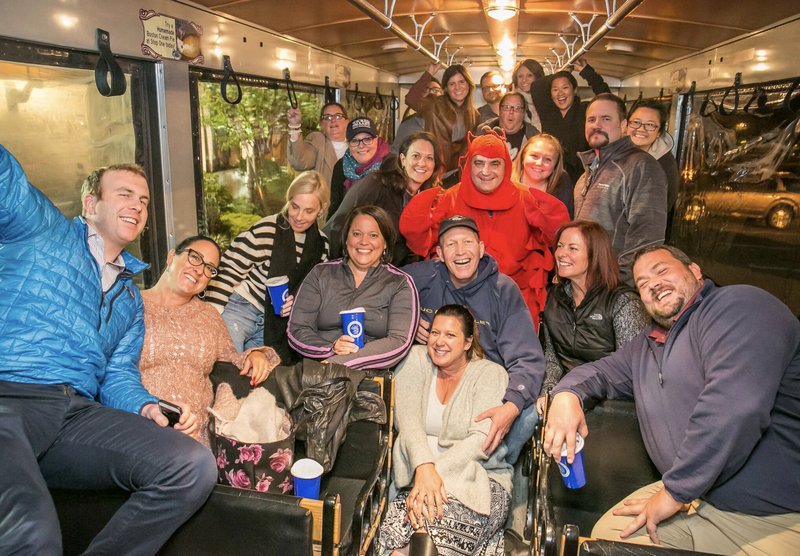 Tom has been a driver for City View Trolley Tours for close to 8 years, and his name can be found at the top of any 5-star reviews. He was it. He is a plethora of information about our beautiful city. After learning to route and all the stories, the little company began to grow. A year later, Victoria came along and became Tom’s partner on the trolley. Dressed in her finest lobster costume, their dynamics became a huge part of the tour and word began to spread. The little company was getting bigger. Fast forward to Summer of 2016, Tom and Victoria took over the entire company and did everything they could to make it the best it could be. 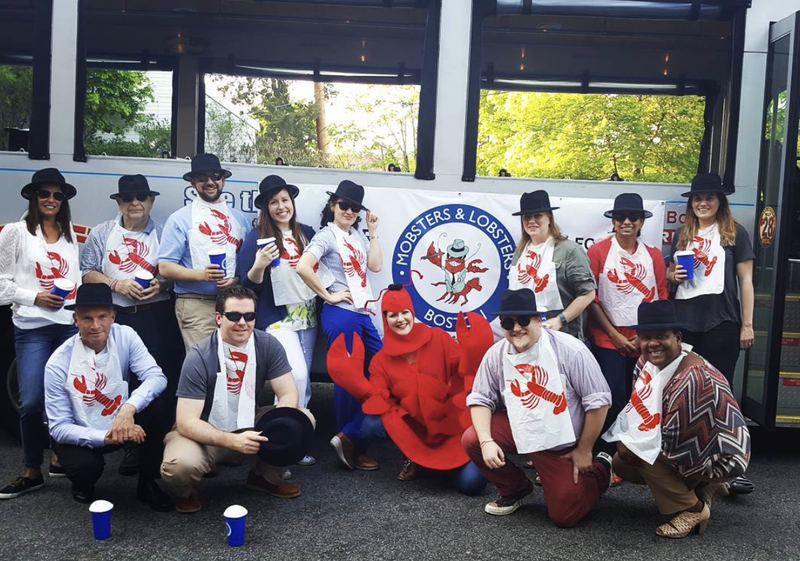 Mobsters and Lobsters ran over 75 tours last year and are hoping for even more this year! I think we have been extremely fortunate to have such a wonderful business relationship with all of our partners. I can’t speak highly enough about City View Trolley Tours for allowing this to be possible. They are huge supporters of us, as we are of them. Secondly, The Venezia Restaurant where we take all of our guests for their fantastic dinner. It has been such a great opportunity to be able to work with both of them on a regular basis because they make things so simple. The most difficult situations we have encountered so far have been trying to stretch ourselves thin enough to be there for each and every client we have. The most important thing to us is that everyone has a great time. We are firm believers in if you want something done to your standard, you do it yourself, and we hold ourselves to the highest standard possible. 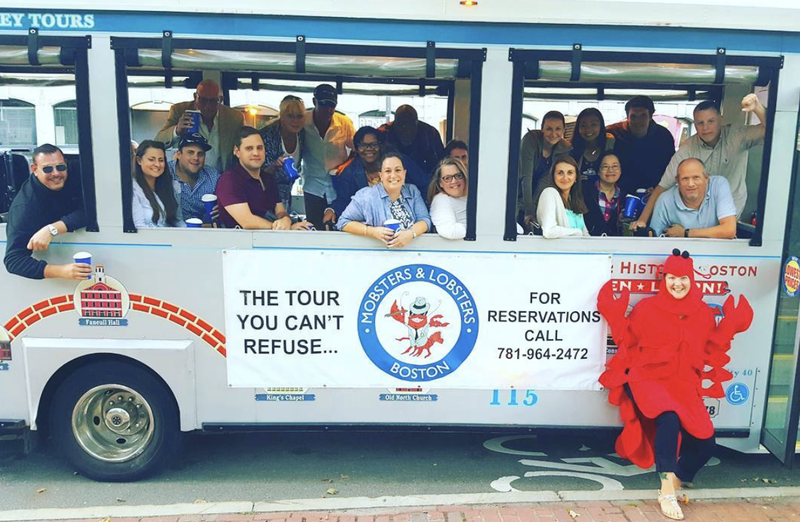 We make sure that during each and every tour and event the groups have the absolute best time we are capable of showing them here in our beautiful city. We take such pride in our reputation and customer satisfaction that there isn’t much we wouldn’t do to make something happen for a group! So let’s switch gears a bit and go into the Mobsters and Lobsters story. Tell us more about the business. We specialize in tailoring each event to a specific company’s needs. I work especially hard to seek out the things our guests need and want before they even know they need them. Whether we have groups who work together on a daily basis or groups who are just meeting face to face for the first time, we always make sure they feel welcome and that we will do everything in our power to ensure they have a great time. 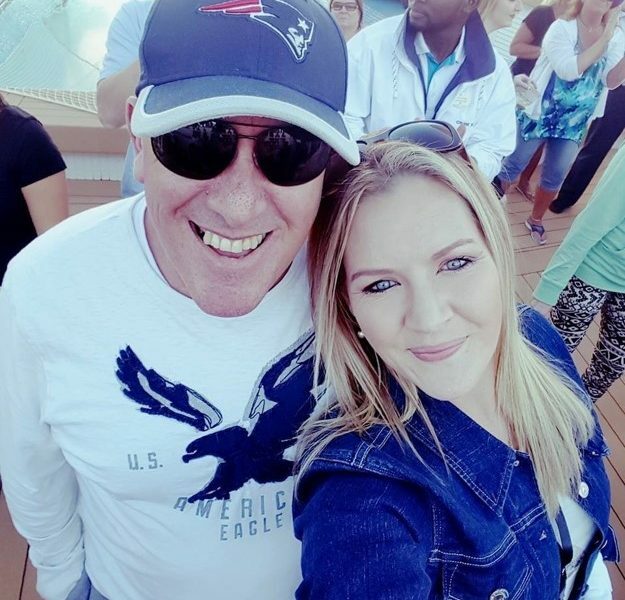 Tom is known for his true Boston accent, which he begs to differ as it is “not an accent because he lives here”, hysterical and quick-witted humor, and most importantly, his love and pride for the city of Boston. I like to think I am known for going above and beyond in communication from initial point of contact until the absolute end. I make sure that no questions go unanswered, and assure each client that we have that they have literally nothing to worry about. Our trip advisor reviews can tell more about us than I ever could. We are most proud of each and every one of our 5-star reviews or trip advisor, yelp, and Facebook. We are really hoping to expand our employee base, become more readily accessible to the public to do individual tours as we do not offer that quite yet, and as always, stay current with the changing history. Tom is always reading some sort of book or publication to keep him up to date with the newest information.